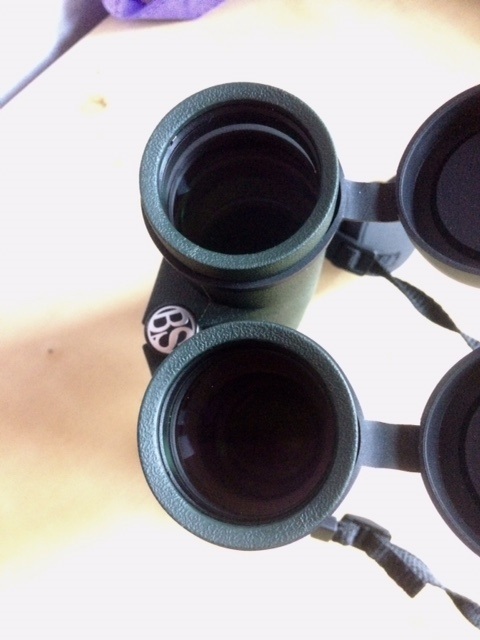 Another Binocular Review: The Barr & Stroud Savannah 8 x 42 Wide-Angle. 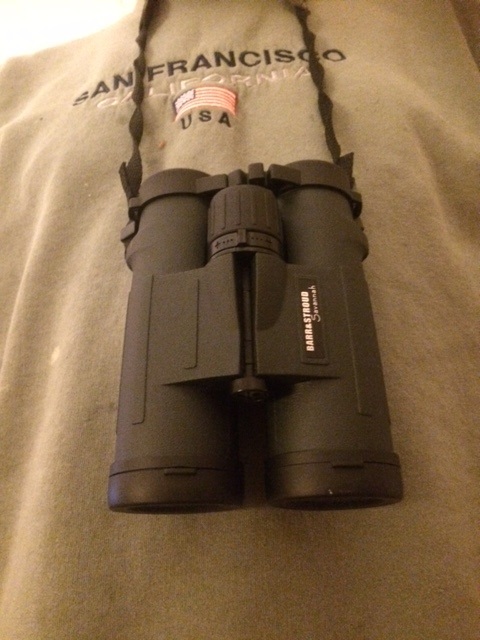 One of the best on a budget: the Barr & Stroud wide angle Savannah 8 x 42 roof prism binocular. I found myself asking this question after taking a chance on a number of decently priced roof prism binoculars made by Barr & Stroud, which completely surprised me. Barr & Stroud have long since ceased from trading as an independent company but a name remains valuable, that’s for sure. Perhaps it’s the know-how they leave with the parent company who buys them out? Maybe it’s the work ethic associated with the name? Whatever it is, they sure know how to put together a quality optic! My evidence for this rests in three binoculars I’ve tested from the line offered by Barr & Stroud; the Sahara 8 x 42, the Sierrra 8x 42 , and a larger instrument, the 10 x 50 Sierra used exclusively for astronomy. Indeed, user reviews of these instruments seem to be almost universally favourable, with many claiming that they shoot well above their weight, especially for their modest price tag. The experience with these units confirmed a suspicion I have entertained for quite some time; that in this day and age there is no need to opt for premium models costing upwards of £1000, as quality has improved so much as to render them largerly unnecessary for the vast majority of enthusiasts. Excellent optics need not cost the Earth. I chose the 8 x 42 roof prism binocular because of its compactness and rugged design that is less prone to mis-alignment than the equivalent porro-prism models being offered. It is the ideal cross-over binocular, allowing one to enjoy fabulous views of the landscape by day and very satisfying casual observation of the heavens by night. The 8 x 42 reigns supreme among birders and hunters for some years now, as its decent light gathering power and ultra-portability allows viewing objects under low light conditions, as is often experienced at dawn and dusk, as well as the failing light of mid-winter. 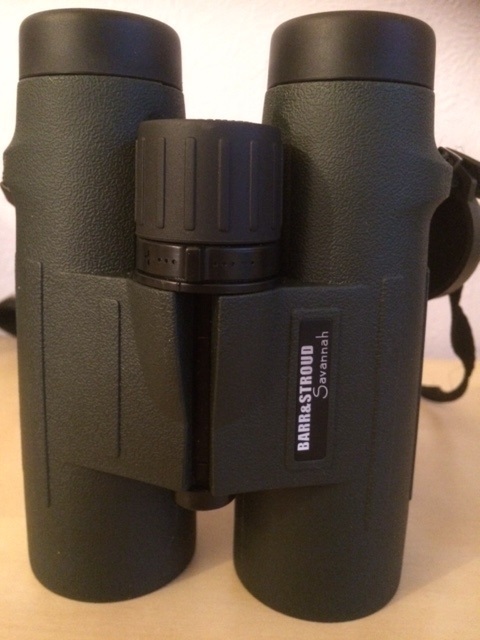 I have been blissfully happy with the Barr & Stroud 8 x 42 Sierra, as it seemed to offer all the things I wanted in a versatile, multi-purpose binocular, but I was still highly intrigued by yet another model marketed under the same brand name which seemed to be garnering even better reviews from consumers; enter the 8 x 42 Savannah. Being intrigued is one thing though; parting with my hard-earned cash was quite another. But how else was I going to find out? It was at this juncture that a compromise was reached; if I could get a lightly used Savannah for a good price, I could satisfy my curiosity and allow me to complete my survey of the full gamut of what Barr & Stroud were offering to the budget conscious consumer. An opportunity soon arose when my interest was piqued by an advert posted on the dreaded ‘fleabay’. The seller posted some high quality images of a 8 x 42 Savannah, indicating that it was used only a few times and that she had misplaced the little cap that covered the thread allowing the instrument to be mounted on a monopod or tripod. She was offering £80 for the unit plus £6 shipping. That represented a 50 per cent saving on the new price, so I bit the bullet and pulled the trigger on a sale. As I explained in a previous blog, I was cautious about going for a binocular that offered an overly generous field of view, but when I read the reviews I noticed that no one was complaining about off-axis distortions in the Savannah, which sported a relatively huge perspective; 143 metres at 1000m, or an angular field of view 8.2 degrees wide! Afterall, this was a full degree wider than that offered by the 8 x 42 Sierra. Man, that’s a wide field, wider in fact than the vast majority of views offered even by premium manufacturers! For example, one of the widest models, the Zeiss Victory SF 8 x 42 offers a field of 148m at 1000m, so not far off the Savannah! A few days after I made the purchase, the package arrived safely at my home. The owner had carefully packed it for transport up from England to bonnie Scotland. 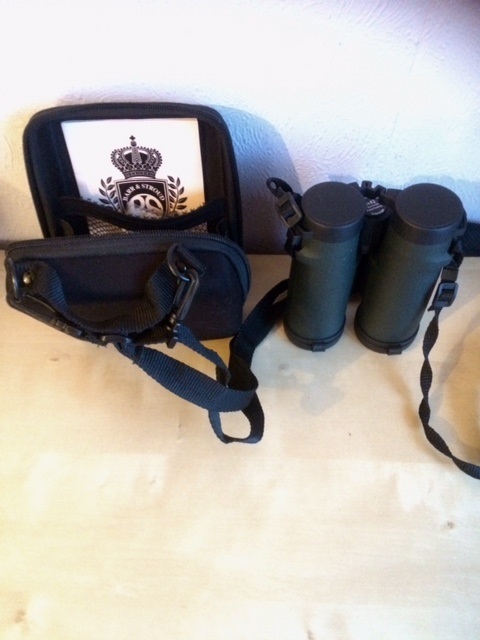 Inspecting the unit, I was relieved to see that all was well; I got the original hard case, the Savannah binocular with the ocular cups and strap attached, a lens cleaning cloth, the one-page generic instruction sheet, and of course, that valuable 10 year warranty. Cool. The Barr & Stroud Savannah 8 x 42 roof prism binocular complete with stylish hard case, 10 year warranty card and single page instruction sheet. I was quickly able to replace the missing B&S cap with the one borrowed from my 10 x 50 Sierra, which was now permanently affixed to the monopod adapter previously described in this link. So now, I had the complete binocular, cap an’ all. Both the ocular lenses and the objectives looked pristine, with no defects that I could see. Looking down at the ocular lenses. Note the specifications. The pristine 42mm aperture objectives on the Savannah. Note the replaced B&S cap. 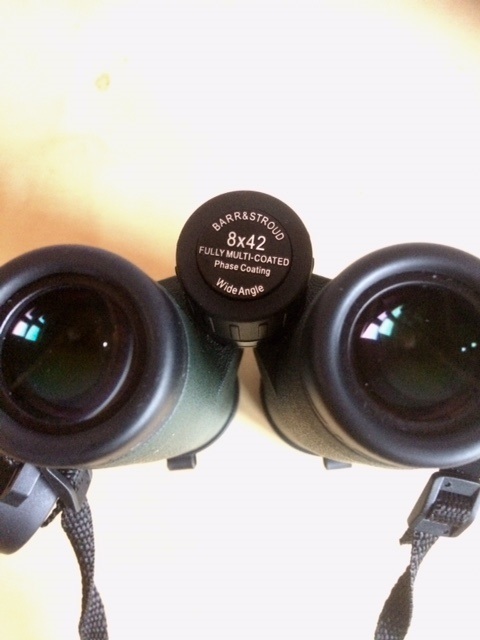 Rubber objective lens caps come as standard with all the Barr & Stroud binoculars and fit snugly and firmly in place so they won’t get dropped or lost easily. The Savannah 8 x 42 has a number of different mechanical features in comparison to the Sierra model, including a slighlty larger focus wheel and a re-designed diopter adjustment mechanism situated immediately ahead of it. The binocular is a little heavier than the Sierra though, which I counted as a disadvantage, but that said, it is very solidly built with excellent fit and feel, courtesy of its tough, rubberised overcoat. I was surprised to learn though that even with its increased weight, it was about the same weight as many of the premium models on the market offering the same or similar specifications.Like the other Barr & Stroud models, the Savannah is weather proof, purged internally with dry nitrogen gas and O-ring sealed. The twist-up ocular caps are slightly different on this model also, being slightly flatter and, dare I say, look a bit more elegant than on the Sierra and Sahara models. The Savannah offers the same generous eye relief to the user; 18mm, so are ideal for both eye glass wearers and those who prefer to observe without glasses. The eyecups twist up securely in two clicks for use without eye glasses. Like the Sierra, the Savannah 8 x 42 has an excellent close focus distance of just two metres. The diopter setting is not quite as rigid as the Sierra model though, requiring frequent checking to ensure that it remains in the desired position for optimal binocular performance. The Savannah is also fully multi-coated and the prisms are appropriately phase coated for the highest possible light transmission. 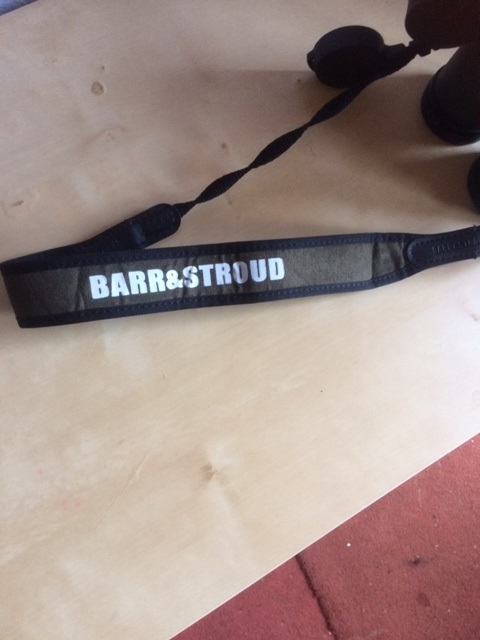 The Savannah comes with a much higher quality and more comfortable carrying strap, featuring the Barr & Stroud logo, which is a definite improvement over the basic strap accompanying the other models tested. This will be very much appreciated by those who use the instrument during prolonged field use. A better padded carrying strap with the B&S logo comes standard with the Savannah range making their transport in the field more comfortable. Although the precise diopter adjustment can be closely approximated in daylight targets, I have learned to tweak it by focusing on stars at night. Specifically, what I’ve found is that the diopter position acheived during routine observations in the daytime are, more often than not, very slightly out when observing point sources like bright stars at night. This can be seen by a slight spiking of the starlight at best focus, which can thereafter be eliminated by making minute adjustments to the diopter dial. I would recommend this technique to others to get the best possible views out of their binoculars. Focusing is very precise and intuitive and produces exquitely sharp images that display the objects in their vivid colours accurately and in very high contrast. In my research of some of the premium models, I discovered that in their quest to attain the highest levels of light transmission (95 per cent in this case), many experienced observers reported that the colour tone turned out to be a bit on the dull, or ‘cold’ side. Remarkably, the manufacturers opted to slightly reduce light transmission by a few per cent in order to generate more natural colour tones in their newer models. The Savannah suffers little from these problems however as the colour tones appear very natural and fully in keeping with a high quality field binocular. For more on this interesting development see this link. Chromatic correction is excellent; you’ll only see it if you look very hard for it around high contrast objects when set against a bright overcast sky. No need for ED elements in a glass of this specification; an expedient luxury that adds practically nothing to the viewing experience. Of course, there will always be those who insist on having this feature; good luck with that! The main reason I took a chance on the Savannah 8 x 42 is its prodigious field of view. Expecting to be a little underwhelmed, I was very pleasantly surprised to discover that the images remain very sharp across the vast majority of the field with only slight softening observed at the extreme edge. The same was true when I tested them out on bright star fields. The stellar images remained acceptably sharp over a field considerably larger than the 8x 42 Sierra, with negligible distortion at the extreme edge of the field. What absolutely blew me away though was an experience I had during the first week in December 2018, when I turned the Savannah 8 x 42 on the constellation of Orion which had now culminated in the south in the wee small hours. I was able to image the entire Sword Handle and the three bright belt stars of the Celestial Hunter with some room to spare! Both contrast and sharpness were very impressive and arguably one of the most immersive views I have ever enjoyed in any binocular! Internal reflections and flaring are also very well controlled. The price one has to pay for this 25 per cent increase in field area over the Sierra model is increased mass; 819g as opposed to just 650g in the latter. Was the tradeoff worth it? I would have to say yes! The enormous, well-corrected field is quite simply awesome and worth experiencing despite the greater weight. I guess to create this brilliant wide field, one has to re-think the optics of this design and that necessitated adding different (or just more?) ocular lenses to the instrument. So I wound up with two 8 x 42s. Now, as I’m no collector and don’t believe in hoarding stuff, I decided to gift the Sierra to a friend. 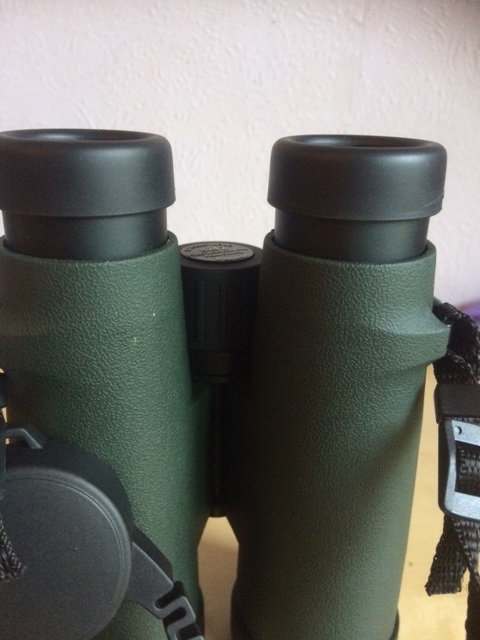 I now have my ideal multi-purpose binocular and would unhesitatingly recommend it to anyone looking for a great, no-nonsense instrument at a very decent price (even new!). Postscriptum: Check out what this youtuber had to say about the Barr & Stroud 8 x 42 Savannah binocular. Full specifications of the instrument here. Neil English is the author of Chronicling the Golden Age of Astronomy.